Below you can view all the homes for sale in the East Lake Terrace subdivision located in Decatur Georgia. Listings in East Lake Terrace are updated daily from data we receive from the Atlanta multiple listing service. To learn more about any of these homes or to receive custom notifications when a new property is listed for sale in East Lake Terrace, give us a call at 404-998-4097. Minutes To Kirkwood, Downtown Decatur, & East Lake! MLS#6539053. Keller Knapp, Inc..
Minutes From Kirkwood, Oakhurst, 2nd & Hosea, & Downtown Decatur. Brilliant! MLS#6536132. Keller Knapp, Inc.. It Features Original Beautifully Refurbished Hardwood Floors, Brand New Kitchen With Granite Counters And Stainless Steel Appliances, Lovely Tile Floors, And So Much More! MLS#6526901. Keller Wms Re Atl Midtown. Walk To Mark Trail Park, Hosea + 2nd Restaurants, Glenwood Publix & Minutes To Kirkwood & Decatur! Brilliant! MLS#6535176. Keller Knapp, Inc..
Minutes To Decatur Square, Downtown Kirkwood, East Lake Golf Course, Hosea + 2nd Restaurants & More! Brilliant! MLS#6535188. Keller Knapp, Inc..
Grilling Deck Ideal For Summer Bbq & Large Level Yard MLS#6524760. Re/Max Center. Rare Double Driving Way Parking - Great Area And Home! MLS#6528281. Point Honors And Associates, Realtors. Close To Kirkwood And Decatur And Walkable To East Lake Golf & Lake Buena Vista. MLS#6528225. Centric Real Estate Group. Open Garage Structure In Back, Live In Hot Decatur, Don'T Miss MLS#6528180. Solid Source Realty Ga, Llc..
New Electrical, Plumbing, Roof, Floating Deck On 1/2 Acre. MLS#6526902. Palmerhouse Properties. 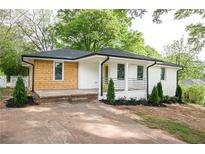 Close To Downtown, Decatur, East Atlanta And Oakhurst. Hurry This One Won'T Last! MLS#6526499. Compass. All Properties Are In Good Condition. MLS#6525847. Keller Williams Realty Metro Atl. Moments Away From East Atl, Dtn Decatur & Oakhurst. Special Financing Available! MLS#6525286. Keller Williams Realty Intown Atl. Just Minutes To Buena Vista Lake, I-20, Downtown Decatur & East Atlanta, As Well As Downtown Atlanta, Area Parks, Shops & Dining. MLS#6522193. Berkshire Hathaway Homeservices Georgia Properties. The Spacious Deck Is Perfect For Entertaining Visitors! MLS#6519123. Jar House Llc. Minutes From East Lake’S Restaurants & Parks, Charlie Yates Golf Course & Downtown Decatur; Easy Access To I-20, Downtown Atlanta & Airport. MLS#6514742. Golley Realty Group. Separate Laundry/Mud Room. New Roof, Hvac, Electrical, & Plumbing. MLS#6511255. Compass. New Sod In Front Yard. See It To Believe It! MLS#6509105. Sellect Realtors, Llc..
Must See & Hurry...Won'T Last Long. This Community Is A Gem! MLS#6508179. Atlanta Fine Homes Sothebys International. Property Is Sold As Is, No Seller'S Property Disclosure, And Warranties. Roof Is New. MLS#6505287. Virtual Properties Realty. Biz. Won'T Last, Best Location In 30032 - East Lake Terrace And Easy Access To Highways! MLS#6503026. Keller Williams Realty Atl Perimeter. Renovated 3 Years Ago - Hvac, Roof, Appliances Only 3 Years Old MLS#6121948. Coldwell Banker Residential Brokerage. Just Minutes From Downtown. Come Take A Look! 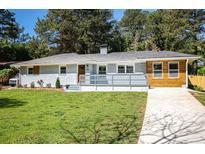 MLS#6119267. Keller Williams Realty Chattahoochee North, Llc. This Area Is Increasing In Value Fast! MLS#6117521. Red Barn Real Estate,Llc..
New Roof, New Gutters, Water Heater And Hvac Less Than 2 Years Old, Updated Plumbing And Electrical. This Home Has It All! MLS#6116743. Keller Williams Rlty-Ptree Rd.